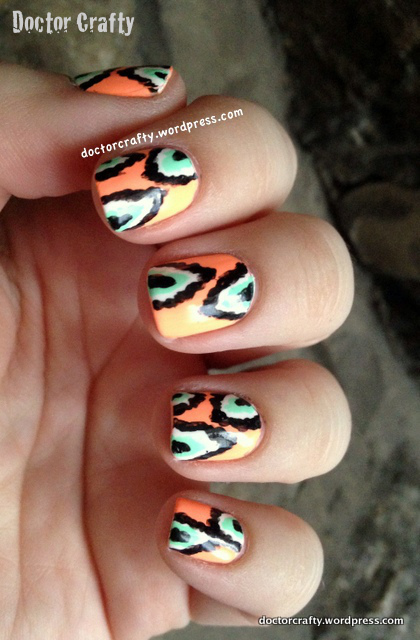 Have you done ikat nails before? What color combos do you like? 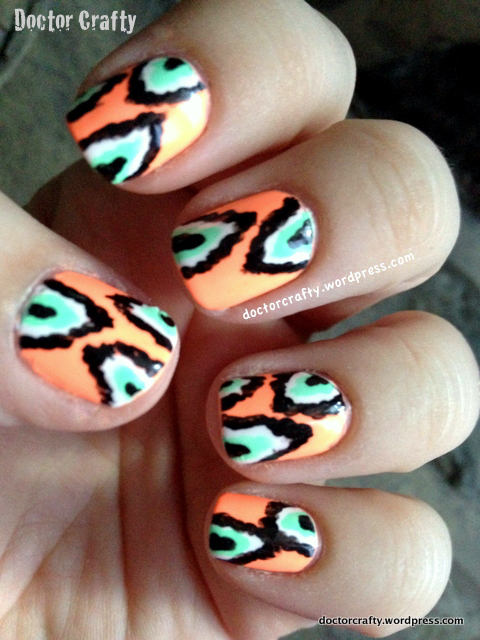 Are you as obsessed with neons as I am right now?! 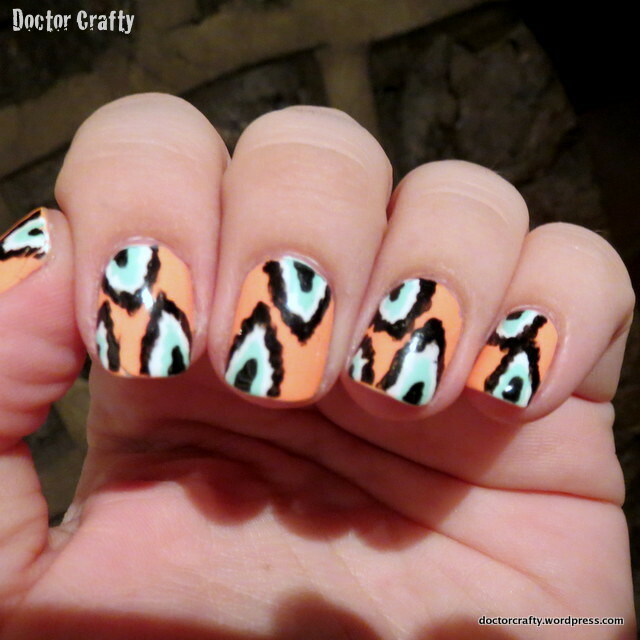 This entry was posted in Nails and tagged china glaze, china glaze highlight of my summer, china glaze sun of a peach, ikat, ikat manicure, manicure, nail art, nails, neon, neon manicure, neon nails, zoya, zoya purity, zoya raven on July 25, 2014 by doctorcrafty. This is a great combination of colors! You did this perfectly! Thanks 🙂 I’ve been so into neons recently! Thank you so much 🙂 I have to try this design again! Thanks friend 🙂 I loved seeing all the ikats from your challenge!